Bikers can make quite a good use of the national rail network, if you know how to use! Bike transportation with CP, the national railway company, is always free of charge, but you have to be aware about several restrictions. Regional (R) & urban trains (U) provide unlimited space for bikes as long as traffic allows, what in practice always is the case. Alpha Pendulares (AP) doesn’t transport unwrapped bikes at all! Inter Cidades (IC) provide limited spaceI for bikes (between 1-3 bikes). This availabilities are combined with specific seats. Otherwise transportation is only possible if the bike is minimized and wrapped. Therefore it’s recommendable to reserve your tickets in advance, specificity the high frequented routes and during the summer season. If you don’t have one of the seats including bike transportation, normally it’s enough to take of the wheels and wrap your bike in a plastic bag that covers all outstanding parts of the bike. 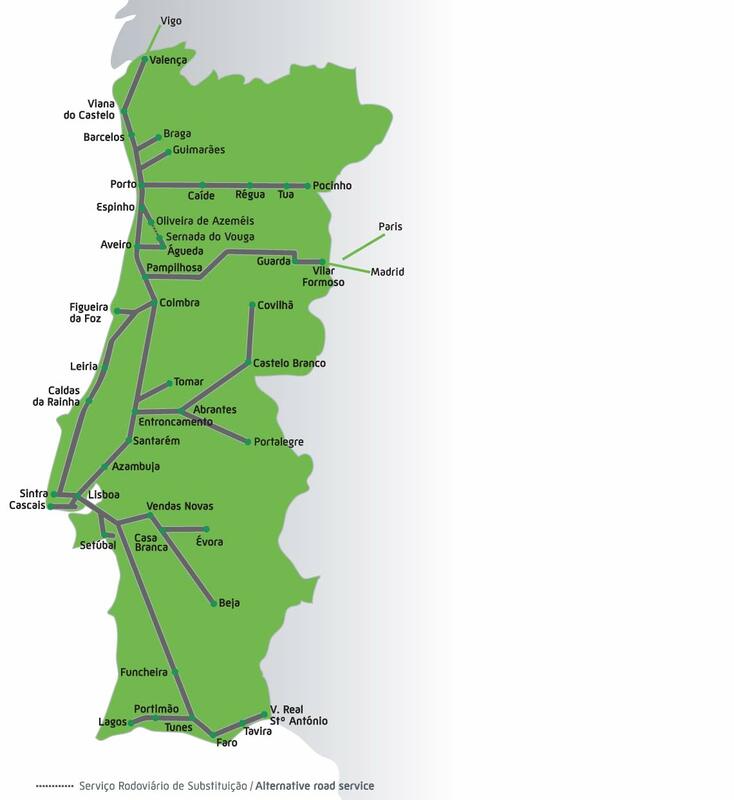 All major ferry boats, as the one in Lisbon, Setubal, or the border crossing in Vila Real de Santo Antonio or Caminha, provide free bike transportation. Buses are significant more difficult to use with bikes. Most of them doesn’t provide bike transportation without proper packaging and sometimes charge for transportation. The biggest bus companies Rede Expressos and Renex only allows folding bikes or bikes appropriately wrapped in a box. Often not really a very convenient solution, but not everywhere easy to avoid.